what is the best way to calm down? Enter fantasy land by looking at too much television. 3. People say, "April showers bring May flowers." Do you enjoy Spring rains? Yukon Cornelius! Cuz the doll is here on my desk? I would rather have tattoos. You can hide tattoos. Nose rings are just nasty! I took pictures of plants in greenhouse #'s 10, 11, 15, and 9. No Country for Old Men by Cormac McCarthy. Zero. Flip Flops are not footwear. They have no value at all. I scoff at flip flops. 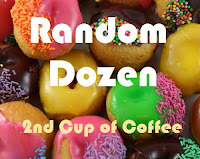 Stop in on Linda at 2nd Cup of Coffee to see more of Random Dozen! Colleen and I have some time off next fall and we want to take a road trip.Her idea is to jump in the car with a tent and a grill and go. My idea is to drive the car to a hotel room. Since we will be driving from Massachusetts to Florida, and stopping in at least three states along the way, my sister suggested an rv. An rv would be great because it would be like a small home on wheels. In reality, it would be only slightly smaller than the home we actually live in. An rv would have all the amenities of a hotel room and then some. A stove, a fridge and places to stow stuff are included in an rv, but not a hotel room or campsite. For me a self-contained rv is the way to go. Having a way to fill a sink and flush a toilet is really attractive to me. Showering in a non-public place sounds good too. Of course, all this means having to deal with grey water tanks, the empy-ing and the maintenance thereof, to be exact. Neither Colleen or I want much to do with that. She suggested we bring the Shawns. One could do the driving and one could do the empty-ing. I still like the idea of hotel rooms, but driving an rv seems like much more of an adventure. With a little planning and attention to detail, the trip will be more exciting if we take our accommodations with us. The Hershey’s Better Basket Blog Hop is Here! Quilly tagged me with this! It seems like a really fun pay-it-forward event. * Leave your link at BetterBasket.info/BlogHop comment section. 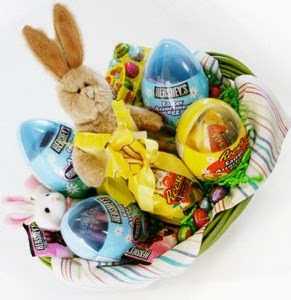 You can also find the official rules of this Better Basket Blog Hop, and more information about Better Basket with Hershey’s there. * And anyone else who wants to help! Two years ago I tried to take a road trip to California with two of my friends. I went along to share the driving and get a look at Disneyland. We didn’t have much of a plan, but we had some maps and a great sense of adventure. We never saw California. Somewhere around Erie, PA we left the highway. It was late in the evening and JP wanted to get gas and switch drivers. After we refueled, Heidi jumped in the drivers seat and drove for about 5 or 6 miles in the wrong direction. As we drove further away from the highway, JP started to freak. He yelled and screamed at Heidi, she hollered back. I cowered in the back seat. After we hit the deer and mashed the car, we considered our options. We were hundreds of miles from home, with a damaged car. We were all ok. Heidi’s knees were sore and the deer seemed to be fine as he limped away. Had we made it to Disneyland, we could have taken the car to the body shop irvine, but we were in the woods in the middle of Pennsylvania! There was nothing around but trees! A nice man and lady came along and called the police. They were very helpful. After we finished with the nice policeman, the man and lady took us to a hotel and gave us some information about the area. Next morning, the nice lady returned and took me and Heidi to a car rental agency. JP stayed at the hotel and made arrangements with his insurance company. We hung out and waited for the insurance estimate. The car could be fixed but it would take about a week and a half. JP decided we should take the rental , back track and head for Niagra Falls. For the whole trip to Niagra Falls and back, JP never yelled at Heidi once. And she made sure to check with him before she made any wrong turns! Do you wake up feeling inspired and excited? Do you want to jump start your career, but just don’t know how to go about it? Do you live week to week paycheck to pay check? Blast Off!, a book by Allison Maslan an experienced coach for life and business.Blast Off! can help you, through coaching and counseling, achieve your dreams in every aspect of your personal and professional life. This book will empower you to take a new direction in life and encourage you to develop new habits that you will benefit from. Blast Off! will give you the courage and determination to start fresh today! Allison Maslan’s Blast Off! program is easy to follow. The techniques have been proven time and again. Let go of fear and indecision! I'm going to give this program a try. I do well when I'm able to see the steps I need to take in writing. Explanations and examples help too. Blast Off! offers both those things! The launch date for Blast Off is January 19, 2010. Copies are available on Amazon and Borders and at Barnes and Noble. Blast Off! sells at major bookstores for$24 and even less at Amazon! The outreach team at church is gearing up for Vacation Bible School. VBS is a huge deal at our church. Almost everyone is involved in one way or another. Some folks have small roles and others do the bulk of the work. But the important thing is that everyone takes part and has a blast! This year the church wants to increase its outreach efforts by 30%. Since VBS is a big part of our outreach program, we want to focus on that. Ginny, the VBS director has a serious marketing plan to increase attendance. It seems funny to talk about marketing church activities, but Ginny has a vision. She wants to use every tool available to get the Word out. Today, Ginny and I were discussing the budget for VBS. We priced print ads, radio spots, a family fun day to kick off VBS. We looked into various physical props to use outside on the church grounds to generate interest and let people know the details of VBS. We found two things we are really interested in: a giant inflatable character and vinyl banners. I really enjoy VBS because it’s held during the summer. It’s an event that truly brings the whole community together, not just our church family. We always meet new people and make new friends. Every member of our church considers the whole community to be part of our family. VBS helps us welcome them! Welcome to the first Flashback Friday! How and when did you learn to drive? Do you have any particular memories associated with getting your driver license? How old were you when you got your first car and what was it? Who paid for it? I didn't learn to drive until I was about 20. During my teen years, I had a boyfriend who drove me everywhere I wished to go. And some places I didn't wish to go, like keg parties, junkyards and beer stores in New Hampshire. Around my twentieth birthday, I decided that since my boyfriend had become my husband and we had a nice little baby, I should learn to drive. Mostly, because he had to work,and he couldn't drive me around anymore. I walked a lot. But the grocery and the pediatrician and anyplace remotely interesting was too far to go on foot, pushing a baby carriage. I asked my girlfriend to teach me to drive. She was patient and kind. Her car was a 5 speed. I didn't get the hang of it. So I asked my husband to teach me. He was neither patient nor kind, but his car was an automatic. I progressed nicely. I just used earplugs. 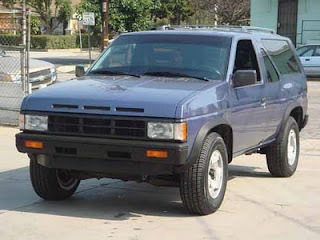 My first car was a 1988 Nissan Pathfinder. I picked it out and I paid for it. I drove it for about 10 years. So began my love affair with Nissan automobiles. Cruise on over to Mocha with Linda for more Flashback Friday! Tania and I are planning a trip to the second largest casino in the United States. It’s a couple hours away from where we live, so we were thinking of staying over. This particular joint has about 1200 luxury rooms. That word peaked my interest. If the rooms are luxurious, they probably have really nice restaurants too! Restaurants means room service! I must admit, food clinches the deal for me every time. Right now I’m picturing myself, swaddled in a plush robe, munching room service delectables and checking out football betting from my nifty netbook. Since there is a spa onsite, I may just have to book myself for some treatments. Which treatments? I'm not sure. I've never been to a spa. I may just have to get a massage and a facial. And then another massage. We may need to stay more than one night. That way we would have an hour or so to play cards or swing by the slots. I asked Tania’s husband Bror if he would like to come along. He said he might, but he wasn’t really into hanging out with two girls who would spend their time eating everything in sight and laying around in spas. Bror said he would only come with us if he could spend as much at the tables as we did on food and spas and football. Tania said forget it. Bror can stay home. Welcome to the March 11th version of Thursday Thunks! We pick a subject, and your job is to interpret it anyway you want. Write about it on your blog... simple as that. Maybe you can interpret it as a picture - we don't care! Please only leave a link if you have written a Thursday Thunks post. Please mention us in your post, and link back to the blog here. This week we will answer some crazy questions brought to you by Berleen, the color of opals, and the number a thousand more than last week. I am not positive you can measure that. There is no stripper pole installed here, but we have closet poles. I didn't put any up to begin with. I ganked mine from Manda... HP. I don't have any favorite toes. Just ones I don' like. They are on Colleen's feet. Say very sarcastically: "EXCUUUSE ME!" and hand them a handkerchief. None. I would not try. My dog ate my T pass. This can't go on indefinately. Welcome to the March 4th version of Thursday Thunks! Don't forget to go visit the other participants' blogs. 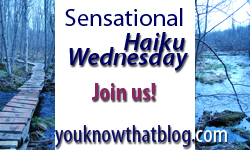 Read and comment about all their Thursday Thunks! This week we will answer some crazy questions brought to you by Bud, the color of Australian Money, and the number 333. Did you see that? 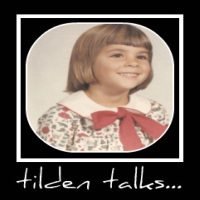 We have a guest blogger this week!!!! 1. Someone knocks on your door. You have not seen this person in years. You were once great friends. Who would you like it to be and why? i would like to see Lizanne. she would not care if my house was trashed, so i could let her right in. 2. What do you think would be a great song title that isn't one? Who do you want to record it? Shut Up and Get Away From Me - this is how i feel most of the time. 3. You are having a party. If I'm invited, what should I bring? you are certainly invited - bring whatever you like or nothing at all, just show up! 4. If your spouse or s/o cheated with a one night stand while away, would you really want to know? nooooo - please don't tell me, i like to live in the dark. 5. How long does it take for a house guest to drive you bonkers? 6. If you could pick a new color for the sky, what would you pick? the sky already has almost every color of the rainbow. why change it? 7. What did you think of the Olympics? not much - didn't watch. 8. Could TT have thought of a lamer blogger that me to guest host? he could have picked me... i'm pretty lame. 9. What's the stupidest lie that someone really thought you'd believe? 10. What was the best day you had in high school? Tell us about it. 11. Name something that you have in your home that you are sure most people don't. a pc and a mac - running side by side - i use 'em both at the same time. 12. Why haven't you at least tried to play The Dating Profile Meme? ummmmmm, cuz i never heard of it. 13. Do you think homophobia is a choice? oh yes - it's a choice, a bad one. My sister Lura is getting married! I'm so excited! Lura has been dating Albert for a of couple years. They actually dated in high school, but each married other people. Now, 200 years later, Lura and Alby are back together and planning a fall wedding. Neither wants a wedding in the traditional sense, Lura and Alby are looking to host a small, relaxed party in a nice room. Last week she sent me a "save the date" magnet for my fridge. The magnet is quite nice, it has a picture of her summer garden in full bloom. Lura said Alby suggested they use that color scheme for the wedding flowers and the invitations. Lura explained she had something else in mind. Since this is the second time for both of them, and the wedding is planned for the end of September, Lura would like to incorporate the colors of autumn in New England, tying together the decorations in the room, the costumes of the wedding party, the flowers and the wedding invitations . Alby really liked that idea and suggested an estate with great function rooms on the edge of some conservation land. I think this will be a fabulous day. I've been to the estate Alby suggested. On a cool fall day, it will be beautiful with the foliage just turning. There are superb gardens on the grounds that I'm sure will be just bursting with mums and asters and other cool weather plantings. 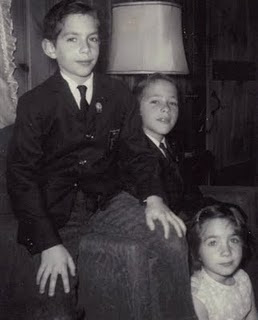 The estate has some really interesting opportunities for portraits and candid photographs. Lura and Alby make a great couple. They are quite devoted to one another, and to the celebration of their marriage. I'm glad they found each other again after all these years. I'm sure they will be very happy together.